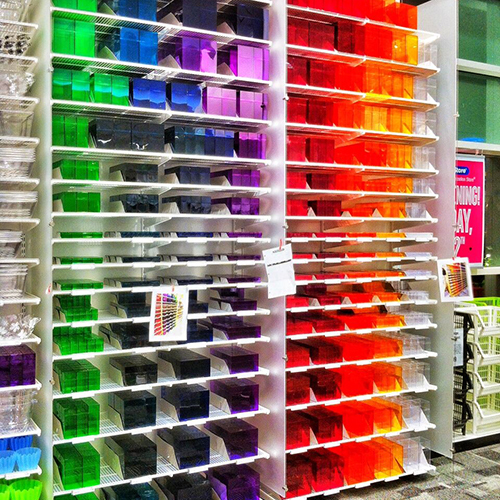 Our skilled field representatives excel in labor intense New Store Set Ups for retailers across North America. 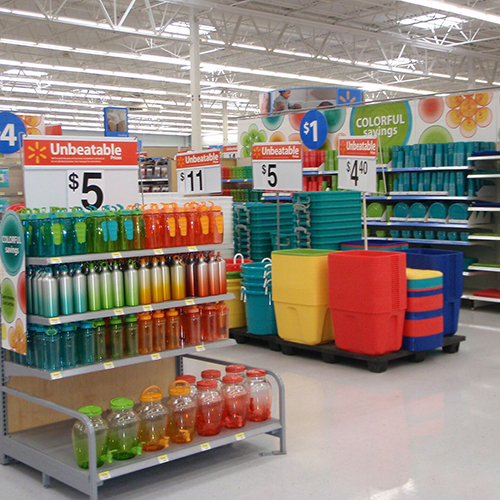 ProVantage provides full new store set up of fixtures, signage and merchandise. We can provide a total turn key solution to take your New Store from an empty building to grand opening day installing all the fixtures, signage, graphics, merchandise and labeling or simply install fixtures or merchandise. Whatever your new store needs are, we provide the right team for you. 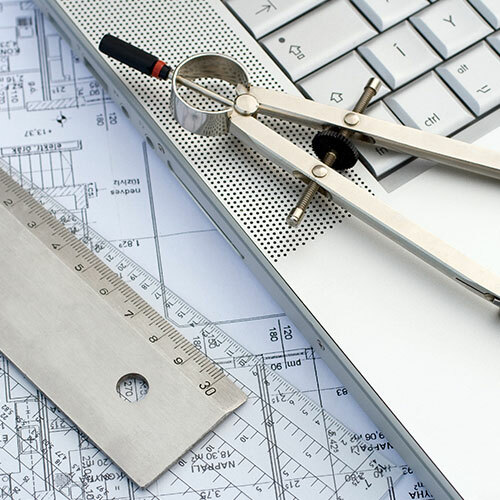 We understand how crucial excellent execution is in a remodel project. We have provided 3 shift project teams, working 24 hours a day along with night shift projects ensuring a clean shoppable experience by opening hours. Our experience includes projects as large as providing all the installation, logistics, warehousing and merchandising for a remodel of a 208,00 sq ft SuperCenter for 12 weeks to sectional remodels of high end retailers. 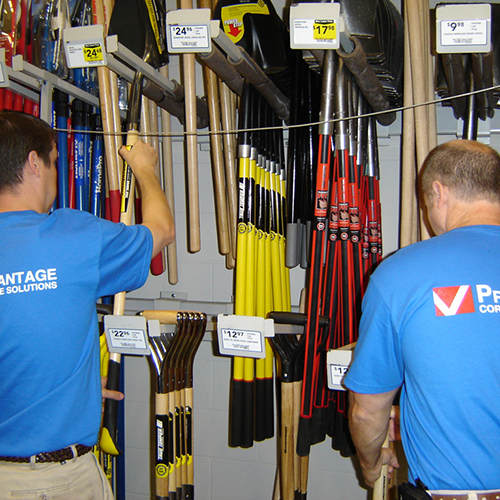 At ProVantage, our team members are experienced in construction and merchandising which gives them an advantage when it comes to Reset projects. 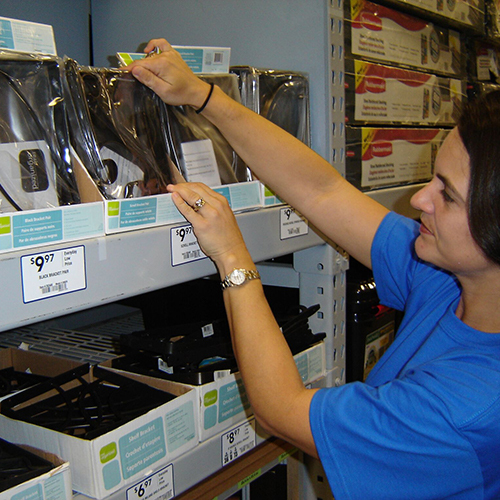 Whether resetting one bay or an entire department, our blend of team members excel in Reset Projects. Our teams perform simple remerchandising of a bay, tear down existing fixtures, build new fixtures, and move steel with complex merchandising; whatever the scope, we can create a team to successfully execute your project. Need to know exact details of your retail locations? We provide audits of your store locations, ranging from taking inventory of existing fixtures and gondolas, AutoCAD services, and ADA audits to see if your locations are up to code. Let us know your need and we can provide an audit solution for you. Real-time project management, Real-time results. Our system allows you to connect every aspect of a project from one cloud based interface. Our cloud based system gives access to any project to see progress, headcount, hours and more in real time.